This policy is to assure those doing business with The Blind Factory [TBF] that TBF will comply with both the letter and spirit of the Privacy Act 1988. TBF takes its obligation to safeguard personal information seriously. This policy formalises and strengthens this commitment to TBF's customers. TBF complies with the National Privacy Principles contained in the Privacy Act 1988. Personal information is generally defined as information or an opinion that can identify a person. The type of personal information that TBF collects from its customers will depend upon what dealings customers may have with TBF, but may include name, email, phone number and suburb. In general, TBF's policy is only to use or disclose personal information for the purpose which was either specified or reasonably apparent at the time when the information was collected. TBF may also use or disclose the information collected for any other related purpose for which a customer would reasonably expect it to be used. If TBF wish to use or disclose the personal information in other circumstances it would obtain the customer's consent to do so. TBF may send advertising mail to its customers where the advertising mail is related to the purpose for which the information was collected. If the customer no longer wishes to receive promotional information from TBF, the customer should advise the TBF Privacy Officer. Normally TBF's records would be amended within 30 days. TBF will take reasonable steps to protect personal information that it collects and ensure that the information is accurate and up-to-date. Customer information is held on secure servers or in storage located in controlled environments. TBF employees are required to maintain the confidentiality of any personal information held. Customers are welcome to request personal information TBF hold about them. To obtain a copy of the personal information that TBF holds, please contact the TBF. TBF may require personal identification. If the customer wishes to change personal information that is inaccurate or out-of-date, they may write to the TBF. 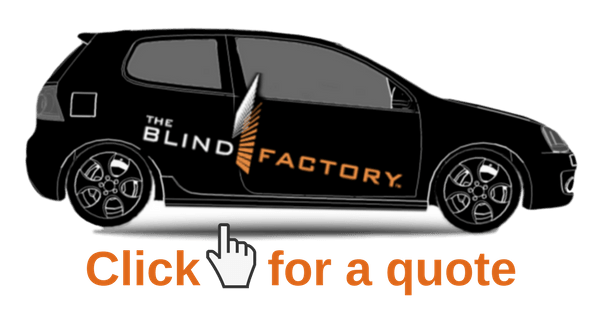 Submissions for the monthly iPad offer will be chosen at random on the last day of January, February, March, April, May, June, with results published on the first day of the following month on The Blind Factory Facebook page. Customer images utilised on Facebook/Instagram will not be identified by owner. VISA vouchers for successful customers will be despatched on the last day of each month until June 30.